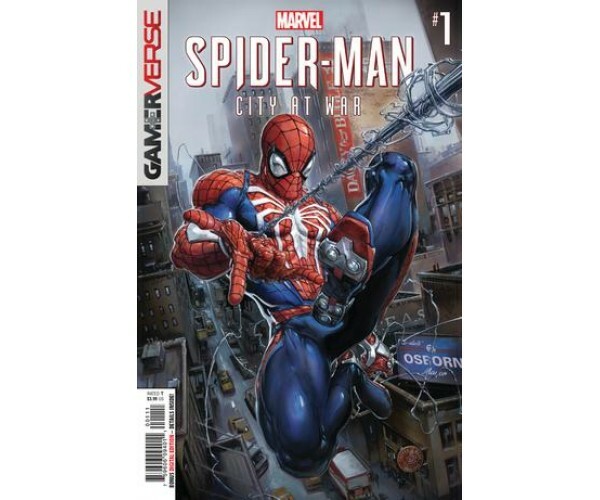 Купити Marvels Spider-Man City At War #1 в інтернет-магазині Geek-Point ✓ Виликий вибір ✓ Доступні ціни ✓ Працюємо без вихідних ✓ Доставка по всій Україні. Showered with worldwide acclaim, the blockbuster Marvel's Spider-Man has everyone's spider-sense buzzing! Now you can experience the emotional and shock-filled story that takes favorite characters (including Mary Jane, Aunt May, Norman Osborn, Otto Octavius and Miles Morales) and spins them into an all-new and unexpected web of drama, spectacle, and classic Spidey action in the Mighty Marvel Manner... with more original stories to come!